In many ways the British TV series The Avengers was the Beatles of TV. The series was created in 1961 by Sydney Newman (who also created Doctor Who) as a gritty black and white TV programme very much in thrall to existing 1950s styles and finished in 1969, a spy series with kaleidoscope eyes. Over its long and winding run people came and went, sidekicks were added and dropped and women became an increasingly important part of the mix. Like all long-running series it became a stopping off point for all sorts – stars on the climb and on the wane, directors learning their craft, scriptwriters ditto. Christopher Lee and Charlotte Rampling are among those turning up, notable directors include the great documentarian John Krish and Ealing legend Charles Crichton, while the series gave a home to writers such as Daleks-creator Terry Nation, though the real driving force of The Avengers (and much of British TV for decades) was Brian Clemens. So it’s a fascinating treasure trove of “look who it it is!” sightings, at the very least. But the series also marks the coming of age of television in the UK. Produced by ABC, a cinema chain that didn’t even want to go into TV but found itself arm-twisted into doing so, the early series were shot in studios, in black and white, and recorded on crappy 405 lines video tape. But once the US got interested, budgets went up, as did production values and the series started to be shot on film and in colour. The later ones still look good today. The series is often bracketed alongside James Bond as a tongue in cheek spy caper, a symptom of the British loss of empire and changed status in the world – we’re still in charge, goes the theory, of irony at least. But The Avengers started before Bond, and it started out more like Batman than 007 – vengeance was the driver and Ian Hendry its star, as a common or garden doctor whose fiancee is killed by a drugs gang. Enter a shadowy John Steed to help him extract his just deserts. To Hot Snow itself, one of two episodes setting up the premise and tenor of the series. Sadly, only the first third of it still exists, up to the first advertising break, so around 17 minutes of grainy blurry footage. 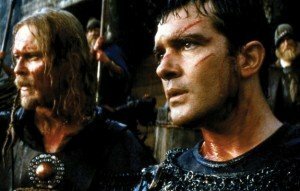 But what survives is enough – even through the murk – to convince 21st century audiences that there was something good going on. Film noir is the obvious inspiration, rather than the spy thriller, from Johnny Dankworth’s brassy downbeat jazz theme tune (Laurie Johnson reversed its falling cadences in the upbeat new theme which come much later) the opening scene shows us a thug (Godfrey Quigley) in a trench coat breaking into the doctors’ surgery, where the lovely Peggy (Katherine Woodville) is receptionist and nurse for Doctors David Keel (Hendry) and Richard Tredding (Philip Stone). There is much coming and going, as the thug skulks, doors are opened and closed as he tries to retrieve a mystery package. We learn, in a nice scene back at the villians’ lair, that this has something to do with £4,000’s worth of cocaine, in an expository scene between effete Charlie (Murray Melvin) and weaselly sidekick Johnson (Charles Wade), both of whom live in fear of “the big man”, a faceless boss whose hand is seen caressing a small dog and who orders the execution of Peggy – she saw Johnson as he delivered the package and so has to go. 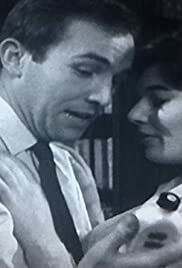 As the card comes up for the end of Part One, Peggy is dead and Dr Keel is cradling her outside the jeweller’s where they were about to buy an engagement ring. Shot live, or as live, it is a carefully crafted 17 minutes, with scenes blocked to make the most of the cumbersome TV cameras. The acting is fresh, with the actors frequently almost running into each other’s lines, eyes alive with trepidation and mirth. Old it may be, but it’s tightly made TV, imaginatively framed, briskly edited and has a real pace. The character actors are well cast and used – something The Avengers always got right. However, it isn’t The Avengers as it came to be. Not a bit of it. No Steed (not in this surviving fragment, at any rate), in fact Patrick Macnee has second billing after Ian Hendry. No bowler hat (Steed is pictured in trench coat in the opening credits), no camp, irony, kitsch or hint of genre subversion. Drugs and deviant sexuality (it is suggested that Charlie is gay) is where this early episode gets it kicks. And in the death of a bright and innocent young woman. When Dr. David Keel's fiancée is murdered by drug smugglers, the distraught physician swears to avenge her death by bringing the criminals to justice. He's aided in his quest by an elusive character who calls himself John Steed.